Ron and Maggie Tear Photography: Morning Landscape. The Taiga is inpenetrable forest of Larch and Fir tree's. 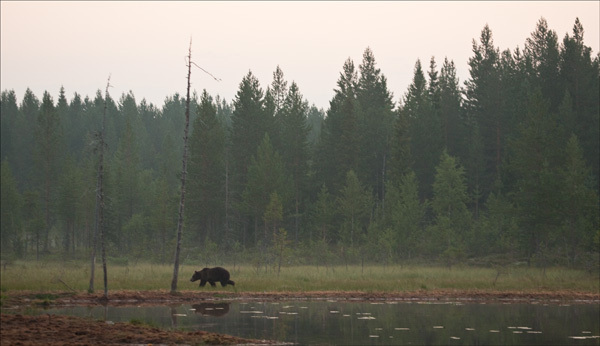 It holds a variety of mammals and birds, here a Brown Bear wanders through to eventually disappear into the Taiga.